Thou Shalt Use a Belay Rope. (Rope has saved my life several times in avalanche terrain. Rope has saved my friends and loved ones several times too. Let 30 meters of “rando” cord save yours.) Shop for rando rope. Also check out the Beal 7.3 mm Gully Unicore. Thou Shalt Use the Right Equipment. (Tremper writes extensively on this, as “equipment” goes beyond the classic beacon/shovel/probe to ideas such as always using releasable ski bindings, not using pole straps, and realizing that the avalanche airbag will probably soon be considered as essential as the PFD in water sports. I’d add that any group recreating in avalanche terrain should have several emergency locator beacons. SPOT is simple but only communicates one-way. Delorme inReach is our favorite these days. Thou Shalt Remember — Terrain, Terrain, Terrain. (This is where experience can and often does immeasurably up your odds. Realize that unless you’ve been backcountry skiing for many years your terrain recognition skills may not be as developed as you think — also realize that everyone’s head works differently; some people are more visual and better at pattern recognition. Figure out who those people are; listen to them. Check out our Avalanche Safety category here at WildSnow.com for a huge amount of information and opinion. Fanaticism is Good. (This is my additional “eleventh” commandment. Kind of ironic, as the concept of 10 Commandments is often considered overly fanatical in today’s world of relativism. Where morality comes from is a topic for philosophy blogs. In our case, we’ll say that in the case of the proven physical laws that cause avalanches, a healthy dose of fanaticism that conforms to those laws is a good thing. See one through ten above. Commenters! What’s your 11th Commandment of avalanche safety? #1 Rule: Always ski backcountry with someone to whom you owe $$$$$. It encourages them to dig when you get buried! Choosing the right rules to follow is hard. Strict adherence to inapplicable ones can yield poor results. Fanaticism is troublesome, for example. If we stick to an orthodox interpretation of commandment #3, nobody will ever ski, as they’re all waiting to ski second. In touring and teaching, we are continually amazed at the number of people we meet who’s last mock beacon search was at their Avy 1 course…years before. or… stuff you pockets with bacon so the dog can find you faster? How about not calling them by the cutsie term “avy”? How about avoid that and going back to “avalanche”, which sounds a lot more serious. See commandments 5 and 11. A good 12th commandment would be “bring a beacon, and whatever other gear you think appropriate, but then make decisions as if you don’t have them”. Many, perhaps most, major, life-threatening avalanches happen within 24 hours after a storm, sometimes even longer, depending on local conditions like wind affecting the snow pack. The commandments make sense, but people who follow the commandments but insist on skiing/boarding immediately after a dump are still often taking extreme risks. Avoiding this risk may mean not making first powder tracks, but victims of avalanches never ski powder again. Good to see solo was not banned, so the 3rd is not applicable along with a few others. Perhaps we need 10 commandments for soloist which a lot of people do. Maybe 5 or less. One that I use is that I’m not afraid to turn around if I don’t feel good about the conditions, or God forbid, just go skin a lap or two at a resort if BC conditions seem dangerous. But I do ski alone quite a bit. Interestingly though, when in a group I may be more open to keep going. Not due to peer pressure, but more of a fantasy thought that there is safety in numbers. That seems to be somewhat of a total myth though. chris blatter: so long as you seem to have a good chance of paying them back, of course. I’ve just been reading a French guidebook (Les clés de l’Espace Killy) where the author suggests not skiing with the husband of your mistress, amongst other things. I wonder if this is a common risk factor for French skiiers. I’d second Scott’s suggestion above; never be afraid to turn around. Useful advice in all situations, not just in avalanche terrain. I like the 10 commandments a lot, they are sincere and to the point: follow them and live. Albeit, like the Decalogue, 10 can be a cumbersome number. In the Wildland Firefighting community we have a lot of lists too, be it the “10 Standard Firefighting Orders”, “18 Watch-Out situations”, “Common Denominators of Tragedy Fires”, or the “Down-Hill Line Construction Checklist”. That list goes on. He explains the need to empathize these four points and their practicality. Throughout he makes parallels to climbing and the mountain environment, something I could strongly relate to. Having been a student of fire almost as long as a student of snow, I have incorporated these principles into myI travel methods into the backcountry (and bars). Its an application of procedure and works good for me and those I bring into the backcountry. Rather than preach my translation of “L.C.E.S.” any further, I’d like to invite those interested to review the attached article, draw their own parallels, and incorporate. Thanks for the blog! Stoked for the TLT Speed Turn! I agree with Charlie and would amend #3 to say ” Thou shalt always be prepared to go first and deal accordingly… or hire a guide or stay home”. People should stop watching so much pro-rider videos where pretty much nobody acts like a lead skier. Learn how to ski cut, read terrain and conditions and be able to ‘safety ski’! You just don’t pawn off risk on your partners, it’s a shared responsibility. Avalanches are also started by skiers moving the big chunks of snow in between turns after it seems the slope is OK because it didn’t go with the previous skiers, especially in steeper terrain. It’s also ludicrous to think the slope is safer because it didn’t go on the lead skier, regardless of statistics. I like one for skiers who ski their same zones a lot. We know when we are skiing a shot that is a known slide path. When conditions are unstable, stay out of known paths. If you going to get slid at least it may be of smaller size or an area less prone. The stat I heard is there needs to be more than one woman, only one and more danger due to some weird dynamic or perhaps just misleading metrics. If you (have to) decide to ski a potentially dangerous slope: Do it fast BUT above all controlled so you will not fall and apply even more impact. Lou – ref your mention of emergency communications for the BC….I understand Delorme has a new inReach Explorer that adds basic GPS nag functions to the comms package. Any chance you’ll be getting your mitts on that for field testing this season? didn´t know where to post, but this could be interesting for you. Here is a topic that I think is worth discussing. I’d appreciate your insights, and if you would please consider starting this as a new blog post/article. * Skiing ‘One at a Time’: What does skiing ‘one at a time’ really mean? What are pros, cons, and considerations related to skiing ‘one at a Time’ ? * What does skiing “one at a time” really mean? * If you feel you need to ski “one at a time”, should you be skiing the slope at all? * What is, and what is not, a true “island of safety”? * Does a true “island of safety” sometimes require 1,000 feet or more of separation from others in your group, and 2-way radios in order to maintain communications among members of your group? * Discuss avalanche paths, including starting zones, track, and run out zones. * Discuss the utility of 2-way radios. * Perhaps most useful – provide photos of various mountains, some where avalanche incidents occurred. 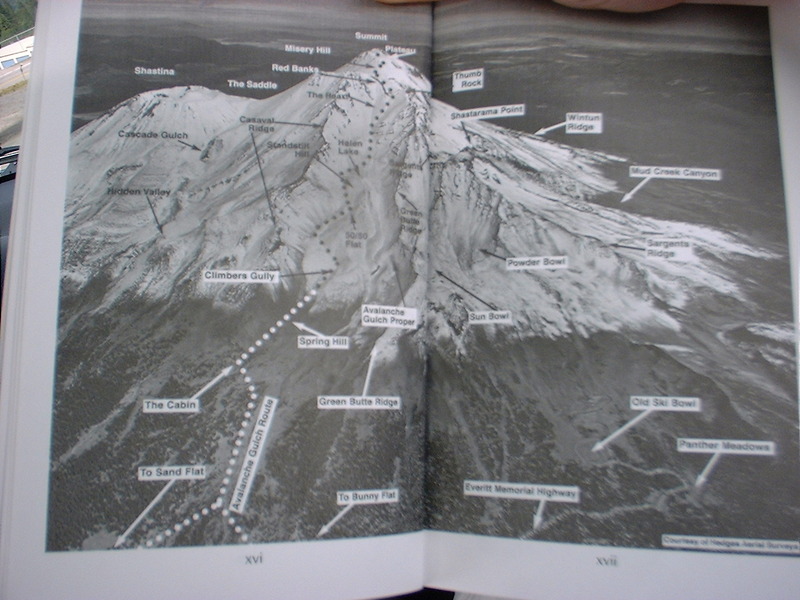 Within these photos, identify known and also potential avalanche paths (starting zones, track, and run out zones), true islands of safety, possible up routes, possible down routes, and show the distance in feet between each true island of safety. Thanks, subscribed! Good to be reminded of all this as the white stuff starts to fly. Thank you sir, much appreciated! I enjoy your writing and books, and I enjoyed hearing you speak in Tahoe last year. THANKS FOR ALL YOU DO! Interesting reading about an incident near Echo Pass/Tahoe in December 2012, that occurred when the avalanche warning was Moderate. The article mentions how taking comfort in going “one at a time” might have lead to sub optimal terrain selection. Here’s an article about the multi-fatality Tunnel Creek avalanche incident, where folks “thought” they were going “one at a time”, and where the article, perhaps erroneously, reports that the members of the group “skied down one at a time”. Would it me more accurate and useful to say that the members of the group “…thought they were skiing one at a time, but in fact had more than 1 person within the same avalanche path at athe same time”? it’s definitely an interesting book. We bought the rights for the italian language and it will be printed and distributed soon! È un libro interessantissimo, infatti abbiamo appena acquisito i diritti per la lingua italiana dall’editore e lo pubblicheremo nelle prossime settimane! How about “keep your eyes open” and possibly “take advice from older, wiser and more experienced skiers”. After riding the chair with an experienced local skier it was eye opening that he could easily identify pow stashes, prior wind direction, high risk zones, recent avalanche activity and so on which I could not see. As the backcountry gets more crowded, morality figures into the safety equation right along with physical laws. https://www.wildsnow.com/21009/ski-touring-regulation-permits/ I can’t find the link, but the story about the woman who got caught by an avalanche triggered by some guys who rode a highly dubious slope even though they knew there were people below them is something we all need to think about, imo. Carry all of your safety gear but navigate terrain and make go/no-go decisions as if you left it at the trailhead. re: “The person who got caught by an avalanche triggered by others who rode a highly dubious slope even though they knew there were people below them”. Making your safety while in an avalanche path dependent on others not skiing the slope is in my opinion not a smart practice. I suggest that folks should avoid entering an avalanche path that is “dubious”. You can not control the actions of others, and avalanches can be triggered naturally. To get caught in an avalanche, a person needs to enter an avalanche path (starting zone, track, runout zone). Anyone who gets caught in an avalanche shares a significant part of the responsibility. Easier said than done as population density increases. And, if I recall correctly, the story I was referring to involved people who skied a less dubious route that ended below the slope that slid. The people who got caught in the avalanche chose to put themselves in an avalanche path. The fact that they you not ski in an avalanche path does not make the avalanche less dangerous, and the fact that you might be standing in a meadow when an avalanche comes down on you is also not especially relevant. What is relevant is choosing to put yourself in an avalanche path with dubious terrain, always a risky decision, regardless of how you got there. OK, but I guess I’m just saying that what determines who is above who on any given slope is mostly timing, and I’m not comfortable with the idea that the people at the top have no responsibility regarding the people lower down. Tom, you’re right of course that being anywhere there is a significant risk of being caught in an avalanche is a bad idea, not just a matter of timing. with the crowds at roger’s these days, that tour up connaught creek takes a little bit of denial. Unless you’re up there first, you’re moving under huge paths with all kinds of jokers doing all kinds of sh*t above you. Can’t believe another mass burial the scale of the cheops schoolgroup hasn’t happened there. Leave your dog at home if you intend to ski avalanche terrain. Great post, I will reread this and follow all the links. What do people think of releasable pole straps (commandment #9)? Many different companies now make releasable straps, including Life Link, Leki, K2, and just this year BD. I even put some Life Link releasable grips/straps on my BD poles years ago. My Life Link and Leki (Trigger) straps release a couple of times a year when I snag them on bushes while skiing, or trap my baskets between rocks while hiking a boulder field. I have been in a few small stuffs, but I have never had to test my releasable straps in an avi. I am a long time XC skier and got used to poling hard using straps while XC skiing. I found that my poling technique sucked and that I didn’t pole aggressively if I skied downhill without using the straps, which is why I ski alpine and BC with releasable straps. I’m a big fan of Life Link poles, but I think the company no longer exists. For me, an interesting safety strategy is to have not only an scape route in case of high danger terrain but also to have a second o even a third desire or goal. If your goal (desire) is one and only: to shred that slope, or to reach that peak. You can feel frustated if you can’t reach it because of a safety decisión and it’s very easy to avoid prudence. But if you have another goal, as having a great journey with friends or finishing a ski day taking some beers, is easy to discard goal nº1 because of safety decisions. This is probably caught up in number 5, but several recent incidents have still involved trees being treated as islands of safety, in several cases only a couple trees that were imo still clearly in harms way. While people have worked hard to dispel the old idea that skiable trees are safer, the idea still gets repeated, and trees are also visually seductive simply because they give a target to ski to. I have two Life Link releasable grips still inservice, one on a LL variable length pole that I leave at one length, and another that I put on a old BD Traverse Flicklock pole that still is fully functional. Currently, Leki, BD, and K2 (I think) make poles with releasable straps. Why no love? Your family and kids need to learn and follow rules 1-11. Young kids have access to avi terrain both in-bounds and OB and they run to pow like dogs chasing squirrels. Great discussion. I do a lot of solo skiing also and the key is paying attention to low risk traveling techniques i.e. Bruce’s 10 Commandments. Great comments by Lou and others in looking at the nuances. I also really like Bruce’s take home point that this needs to be ritual and habit. No exceptions. We live and die by our habits.